I just went and looked at Stephanies blog, specifically the one where she addresses you. OMGosh – you two have brought tears to my eyes. My parents divorced when I was young. I had the whole step mom/dad thing to deal with. I wish that my parents and step parents could have come to a mutual understanding of each other and made it work for my sake. You both are doing an awesome job!! Keep it up. The children are going to grow and just reap the benefits of it. That’s how it should be. Anything that needs to be done to ensure the children are secure and happy, should be. They should be first. Oh boy, my parents were the opposite and always arguing between them and the steps. It made life hell for me. I think I was about 10 when they divorced. Y’all are doing it right! Well thank you so much for your support. Stay tuned! 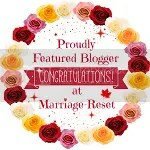 On Mother’s Day we are guest blogging on each other’s blog!